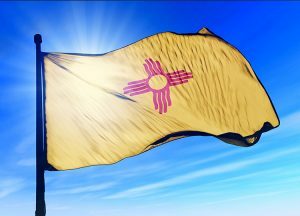 Increased investment in oil and gas operations in New Mexico is paying off in huge dividends, with the state surpassing California and Oklahoma to become the third-largest energy producer in the nation, according to the U.S. Energy Information Administration (EIA). This jump is thanks to billions of dollars pouring in from oil and gas companies over the past few years to cultivate resources in the Permian Region. “They see southeastern New Mexico as being a long-term play for them and they are looking at substantial capital investments — not only this year, but in the years to come — so I think it’s a good sign of sustainability not only for our area but it’s going to be good for the state,” Hobbs Mayor Sam Cobb told the Associated Press. Due to this investment, state lawmakers aren’t entirely surprised, but have welcomed the news. The EIA figures show New Mexico’s output reaching 16.3 million barrels per month by the end of 2017, and the yet to be released annual numbers may reveal record levels of production. “The higher the peak the lower the valley traditionally,” he said. Currently, the oil and gas industry is responsible for almost one-third of the revenues for New Mexico’s General Fund and accounts for about 14 percent of the state’s economy, according to the New Mexico Oil and Gas Association (NMOGA). Rep. Steve Pearce (R-NM), who is running for governor, emphasized the important role the industry plays in funding critical services statewide. “Revenues from oil and gas production help fund our teachers, hospitals, law enforcement, and other essential services our local economies rely on,” Rep. Pearce told Western Wire in a statement. “Not only does the production of oil and gas in New Mexico stimulate job growth for the state, but it also helps reduce our nation’s reliance on foreign energy resources. The Associated Press reports that additional revenues from the sector will help bolster the state’s income to surpass current spending levels by $200 million for the next fiscal year. That’s welcome news for Kernan, who says the legislature is already seeing additional financial resources being made available for the upcoming session. Kernan hopes to use some of the extra revenue to stabilize the state’s depleted reserves. “First we need to look at reserves and then secondly replace some of the lost dollars that departments and programs had to take over the last year or two,” she said. New Mexico’s surge in production is following a similar nationwide trend. As the EIA data show, U.S. production is hovering around record highs not seen since 1970.